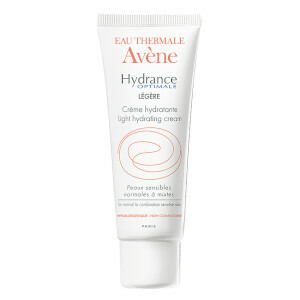 Soften and soothe your complexion with the Hydrance Optimale Light Hydrating Cream from Avène. Enriched with the brand’s signature Thermal Spring Water, the face cream combats moisture loss and absorbs excess oil for skin which is clean and clear. Clinically proven to reduce tightness and dryness, the cream leaves skin with a refreshed feel and soothed appearance. Suitable for sensitive, normal to combination skin. Apply in the morning to clean, dry skin. 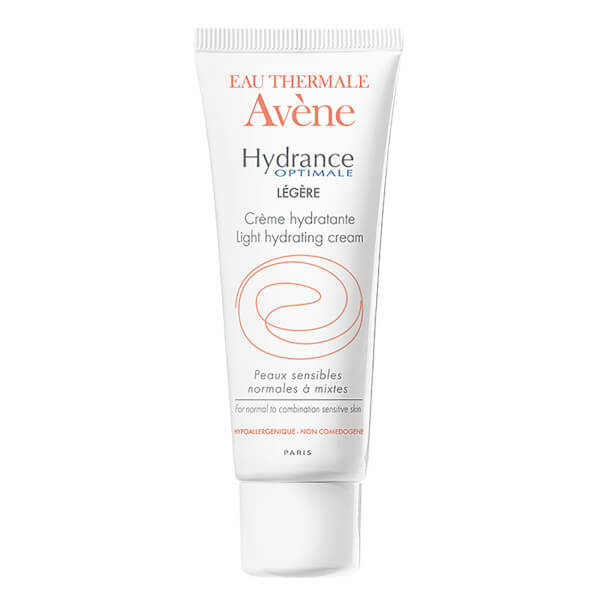 Avene Thermal Spring Water (Avene Aqua), Caprylic/Capric Tri Glyceride, Carthamus Tinctorius (Safflower) Seed Oil (Carthamus Tinctorius), Cyclomethicone, Sucrose Stearate, Glycerin, Butylene Glycol, Sucrose Distearate, Polymethyl Methacrylate, Benzoic Acid, Beta-Sitosterol, Bht, Carbomer, Chlorphenesin, Disodium Edta, Fragrance (Parfum), Glycine Soja (Soy Bean) Seed Extract (Glycine Soja), Phenoxyethanol, Poloxamer 188, Sodium Chondroitin Sulfate, Sodium Hyaluronate, Sodium Hydroxide.